The discovery of a long-lost airliner . . . A modern-day kidnapping . . . And the return of the most terrifying evil the world has ever seen. 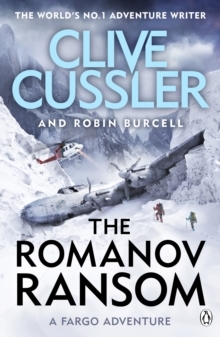 When a kidnapping captures the attention of treasure-hunting team Sam and Remi Fargo, they find themselves on the trail of the legendary Romanov Ransom - a Russian fortune stolen by the Nazis during World War II. Hunting a neo-Nazi faction across Europe, North Africa and South America is their greatest quest yet. They must prevent the rise of a Fourth Reich, or witness the resurgence of the greatest evil of the modern world. From the finest adventure writer alive, Clive Cussler's dark and thrilling mystery will keep you turning the pages late into the night.